CHECHESMITHNATION : Jourdan Dunn Looked So Bold And Gorgeous In Rockig This Floral Dress! Jourdan Dunn Looked So Bold And Gorgeous In Rockig This Floral Dress! 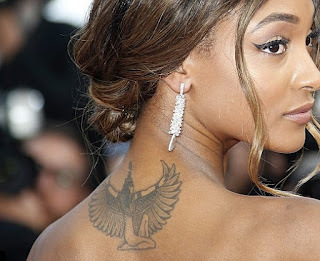 Jourdan Dunn, dazzled the world at the premiere of "The Unknown Girl" in Cannes rocking this beautiful off-the-shoulders Ralph and Russo gown. We love the flowing train and how she carried herself.